I Have Witnessed A Strange River says Cooper invited us to engage with a journey through the depths of water. She guided us through an unfamiliar place inter-twined with our daily lives where we witnessed the relentless cycle of life and death. Deep below the water’s reflecting surface, she showed us that a place primordial and alien yet intrinsic to us all, exists. BIO: Victoria Cooper is an artist with a PhD in Visual Arts researching the intersections of art and science. This interdisciplinary research is informed and inspired by her previous career in Human and Plant Pathology along with current interest in local and regional issues of land and water. During her 23-year arts career she has also worked across many forms of photographic technology–analogue to digital imaging; site specific documentation of performance; and artists’ books. In a collaborative practice with Dr Doug Spowart, she explores the post technological paradigm of photography as a cultural communication and a site-specific visual medium. This multi-methodological approach is applied in their current Place Project work in many regional communities. 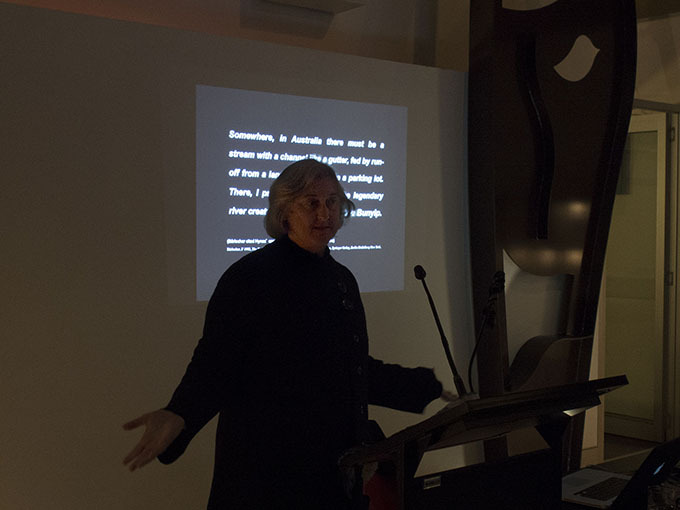 Cooper has exhibited in Australia and internationally and her work has been published in the Pinhole Resource Journal, the Le Stenope issue of French Photo Poche series and with Doug was included in the publication LOOK, Contemporary Australian Photography since 1980. Cooper’s artists’ books are held in national and private collections including the rare books and manuscript collections of the National Library of Australia and the State Library of Queensland. This is a Story About Water Too* The quality and supply of water is one of most important issues of our time. Water quality scientist Carl Mitchell from the Condamine Alliance discussed the quality of water in our waterways and the health of our aquatic systems – vital indicators of how well we are doing as a society. The waterways in the Condamine catchment are a precious resource for the communities in the region. They provide many benefits to support the economy, society and environment of the region. Due to extensive development across a number of sectors, the quality of waters in most of the catchment areas is poor. Studies and models predict that without appropriate additional management responses the region will be unable to meet the social and economic needs of the community while maintaining the ecological integrity of the natural systems supporting these needs. 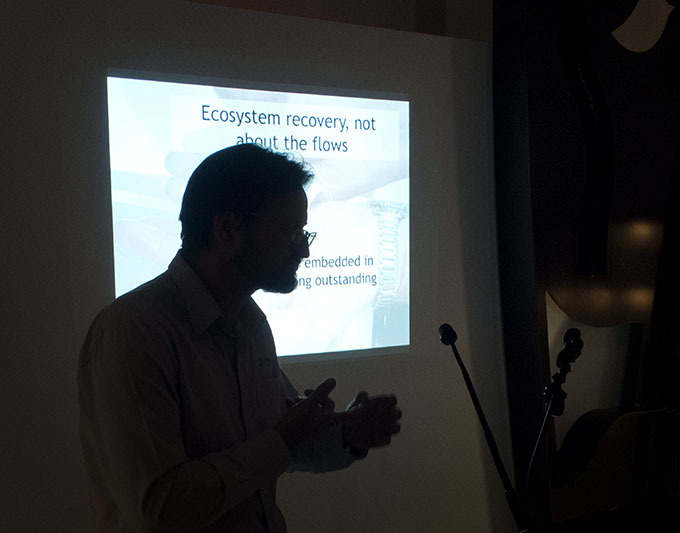 Carl discussed the state of the waters and what actions are needed in the future. BIO: Carl is a water quality scientist, aquatic ecologist and integrated water resource management specialist with a passion for the water and the waterways of the Condamine Catchment in the headwaters of the Murray Darling Basin. Carl strongly believes that the quality of water in our waterways and the health of our aquatic systems is an indicator of how well we are doing as a society. This drives him to strive for clean water for the Condamine and healthy aquatic ecosystems for the Murray Darling headwaters. Carl’s work in the Condamine has focussed on restoring the iconic Condamine river and Carl has lead the team that won 3 prestigious national awards for the Condamine in 2012-2013. Carl has a history in Natural Resource Management in Queensland having worked for Reef Catchments in Mackay for 11 years as Waterwatch coordinator, Healthy Waterways Coordinator and Water Manager. In the Water Manager role at Reef Catchments Carl spent 2 years coordinating the Paddock to Reef program across the 6 reef regional bodies, before moving to the Condamine in 2011. Carl has been an Australian Youth Ambassador for Development in the Philippines, implementing Waterwatch and Landcare programs. The Igneous team shared its explorations of water as a topic and metaphor. They explained how Waterwheel is an interactive, collaborative platform for sharing media and ideas, performance and presentation. 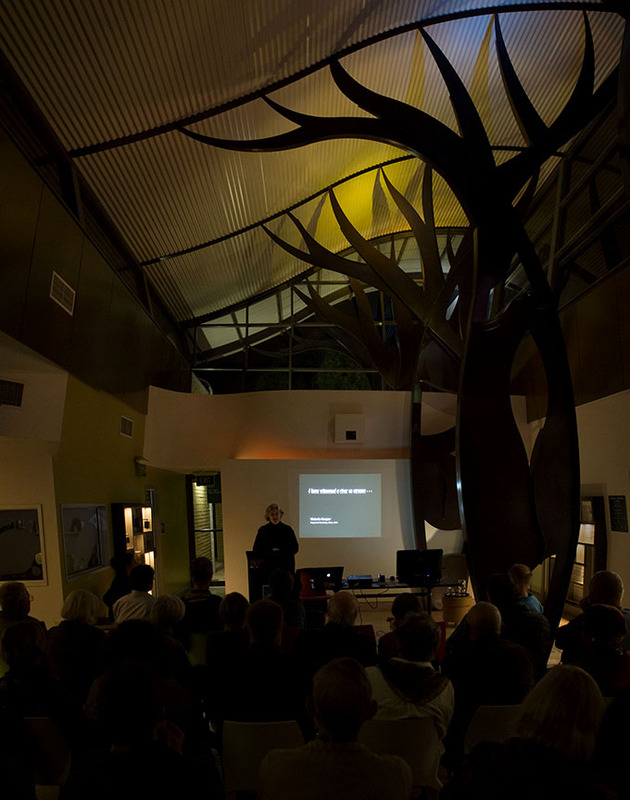 Attendees witnessed how Waterwheel investigates and celebrates this constant yet volatile global resource, fundamental element, environmental issue, political dilemma, universal theme and symbol of life. We were encouraged to explore and discover, share and collaborate, contribute and participate in their project and local activities. Igneous presented Waterwheel as well as the FLUIDATA project supported by Arts Queensland, and introduced the audience to FLUIDATA workshop that we offered there. BIOS: Igneous received funding from Brisbane City Council and Arts Queensland towards the development of the platform and it’s incorporation in the Waterwheel Installation Performance and associated residency at the Judith Wright Centre of Performing Arts, Brisbane. Igneous is a partnership between Cunningham and Fuks who have both given lectures, workshops, master-classes and labs in Australia, USA, Europe, India and Indonesia, in tertiary institutions, cultural venues and community contexts. James Cunningham is a performance, movement and video artist, and the co-Artistic Director, along with Suzon Fuks, of Igneous Inc., (www.igneous.org.au) a Brisbane-based multimedia and performance company established in 1997 that has presented solo and ensemble stage shows, performance-installations, video-dance works and networked/online performances in Australia, Europe (Belgium, France, Switzerland, Germany, Poland), UK, Canada and India. Suzon Fuks is an intermedia artist, choreographer and director, exploring the integration and interaction of the body and moving image through performance, screen, installation and online work (http://suzonfuks.net). During an Australia Council for the Arts Fellowship (2009-12), she initiated and co-founded Waterwheel, following which she has been a Copeland Fellow and an Associate Researcher at the Five Colleges in Massachusetts, continuing to focus her research on water and gender issues, and networked performance, as well as coordinating activities on Waterwheel. Hi! 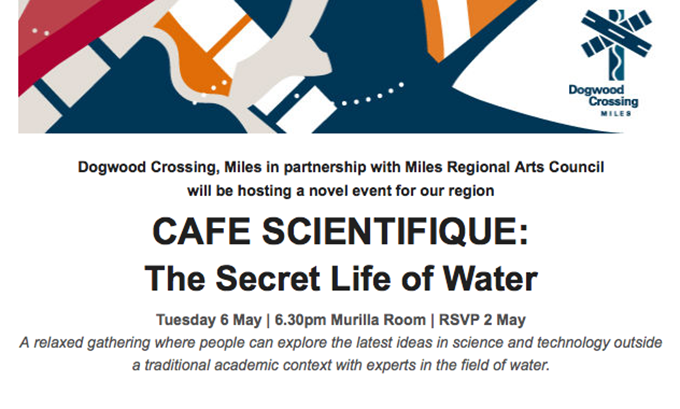 thanks for mentioning us as part of the Cafe Scientifique in Miles. 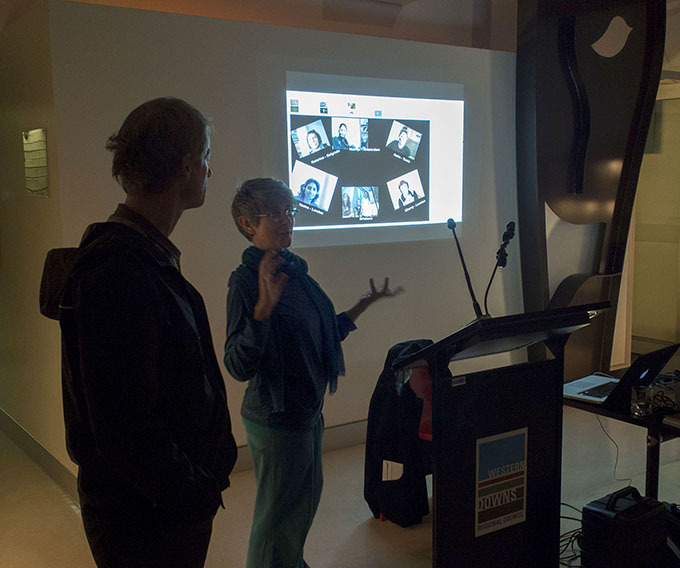 We’ve presented Waterwheel as well as the FLUIDATA project supported by Arts Queensland, and introduced the audience to FLUIDATA workshop that we offered there. It would be great if you can mention it in your article. Cheers!